Barely a week after the reports of dangerously high levels of smog in China hit the headlines across the world, authorities have made a bizarre attempt at damage-control. It has now been reported that lawmakers in the country have ordered the two largest insurers in China to stop selling their policies. The directive comes just a week after the policies were first launched. 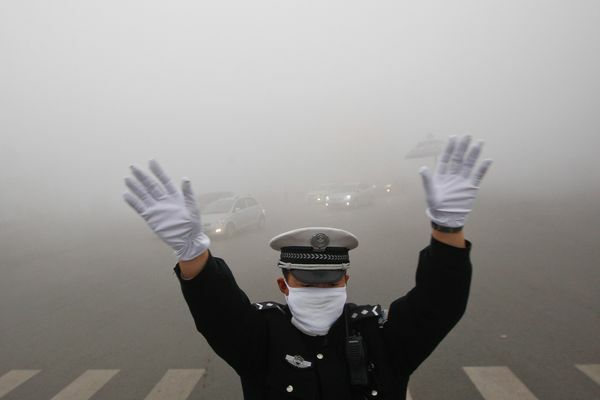 Smog insurance policies were being offered to compensate residents who are affected by the poor air quality throughout key areas of China. The high levels of pollution have been a cause of major concern in the country with the health of both residents and visitors being repeatedly flagged up as a key priority. In addition to monetary compensation, those who were subjected to several days worth of dangerous pollution would have been entitled to a free lung check, while extended periods would have resulted in a trip to the island of Hainan for some ‘fresh air’. But all of that has now come to an end under orders of the Chinese government. As the situation currently stands at the time of this paper going to press, it has not yet been revealed why the People’s Insurance Company of China (PICC) and Ping An Insurance Group were forced to stop selling the coverage. However both companies have agreed to honour the policies that have already been sold. In a country where people have to pay for their medical costs, PICC had stated that those who were hospitalised due to the low air quality would receive 1,500 yuan (£145) in compensation. If Beijing’s official smog index stayed at over 300 for for five days in a row, the company also promised to pay out 300 yuan. Travellers were also offered compensation from Ping An which promised travellers up to 50 yuan a day of compensation if they were subjected to smog for at least two days while visiting cities in the country. The country has some of the highest levels of pollution in the world and smog is a major problem there. Recent findings published by the London Green Party have revealed that although not as bad as China, the capital has also experienced dangerously high levels of smog which could result in major health problems and people having to stay indoors.